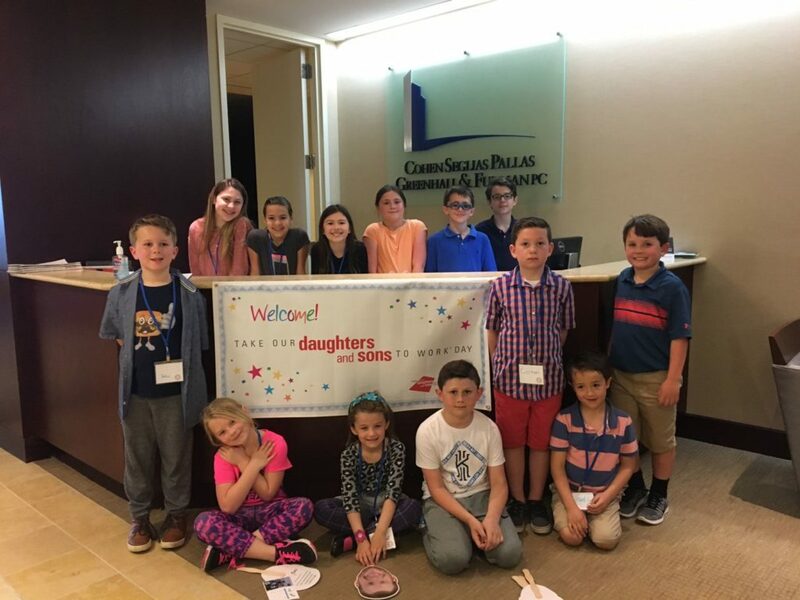 On April 27th, Cohen Seglias welcomed the Firm’s children to the office for its third annual Take Our Daughters and Sons to Work Day. Organized and led by the Firm’s HR Manager, Monica Lavin, and Marketing Director, Kerstin Isaacs, the day was a huge hit among the kids and Cohen Seglias personnel. The day provided the children with the opportunity to learn about the legal field when they acted as counsel to Woody and Buzz Lightyear for the Firm’s mock trial. The children’s hard work defending their clients was awarded by a pizza party and ice cream sundaes. The day’s other activities included a yoga class, a trip to Rittenhouse Square, a trivia game, and an art project. Everyone involved in this successful day had a fantastic time and is already looking forward to next year!